Vabeg® is an organization for development and service of technical and constructional safety of events and places of public assemblage, with an advisory council of top-class experts and practical specialists in its back, which has aligned for advancement and guidance since 2007. Since 1999 customized and practice-oriented solutions are being developed for events. Until today over 100 experts and specialists cooperated with the formation of the Vabeg® safety procedure. Additionally products from the eventsafety field being developed with well-known producers to close deficiencies at the market with uncomplicated and safe solutions. A complete certification and an individual application description of the products allow the daily and safe practice use. Principal item of the Vabeg® safety procedure is the "Vabeg® Konzept" for temporary events and the "Vabeg® Handbuch" for permanent meeting places/ locations. The software-based concepts are a complex and practice-oriented all round concept, which is being made individually for each place of event and public assemblage. It contains all relevant legal regulations (>140), addresses and description oft the places of public assemblage, preventative and personal safety, general safety analyses, safety concept, emergency plan, extensive hazard analyses,periodical inspections etc. Safety relevant agreements had been made with administrations, institutions and company to generate quick requests and calculations, for instance capacity of cellular phone network, airfields for rescue helicopters, noise, environmental management or factors of specific climate region shifts. The Vabeg® safety procedure, with its integrated software solutions Vabeg® Konzept and Vabeg® Handbuch, is being appointed as concession since 2008 (Handbuch since 2010) to qualified personnel in security and/or technical organizations with high premises. The implementation of the service “Eventsafety” is for practice-based reasons reserved for security and technical organizations. Due to the high premises to Vabeg® safety specialists, responsible persons for event technology are often reverted in security organizations. That way becomes the expedient combination from organizational, planning and technical occupational safety or short “Eventsafety” with “Eventsecurity”. A methodically structured product with many modules for legal validation, saving of labor and time, as well as sales increases and vital assistance of all participated persons. The Vabeg®-safety procedure consists of methodically structured standard forms, as well as the software Vabeg®-Konzept and Vabeg®-Handbuch in a comprehensively exact and efficient operating procedures. The Vabeg®-safety procedure is methodically structured procedure for a complete and quick operating of Vabeg®-safety persons, event hosts, trades and institutions. The procedure applies all legal demands easy, cheap and flexible, eases clearances/reports at institutions and perfectly ensures responsible persons and visitors. Vabeg®-trained safety specialists accomplish this service. The specialists are part of a unique, great network of experts and specialists and have to achieve high premises. This specialist issues the event host a safety seal for a safe event, whereby a reduction of premium of up to 30% to the event host casualty insurance, as well as further refunds are being compensated. Vabeg® modifies existing products of producers and respectively allows the manufacturing with arrangements for the short-termed event market and certifies these products for proper application in practice with the adherence of all relevant legal demands and issues a certificate in combination with an individual adjusted description of application with a seal. According to the application description, the specialist/ builder can use the safety product after the legal demands easy and quick. Institutions and responsible persons see at the application description and the product certificate the correct configuration and implementation of the legal demands. We certify predominant technical products fort he short-termed event demand of the sectors fire prevention and building laws, as well as limited the health protection. 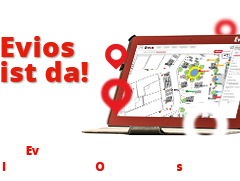 Evios is the Eventsafety Information and Management System. It is a webbased software for information an managing events and eventsafety. 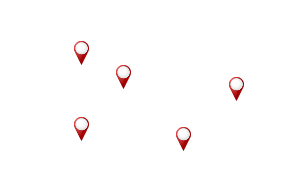 You can insert own plans of your location, with a lot functions.